Cape Town is South Africa’s oldest city and the second-most populous city in the country. It is the provincial capital and primary city of the Western Cape. As the seat of the National Parliament, it is also the legislative capital of the country. The city is famous for its harbour as well as its natural setting in the Cape floral kingdom, including such well-known landmarks as Table Mountain and Cape Point. Cape Town is also Africa’s most popular tourist destination. Cape Town is one of the most multicultural cities in the world, reflecting its role as a major destination for immigrants and expatriates to South Africa. As of 2016, the city had an estimated population of 3.8 million. The city was named the World Design Capital for 2014 by the International Council of Societies of Industrial Design. The economy is sophisticated, relying on the tertiary sector, primarily the financial and insurance sectors, and tourism. Infrastructure is adequate with extensive roads networking the city and the electricity network reaches most areas in the city. However, Cape Town is suffering from a massive drought that has an impact on daily activities and tourism. Numerous scandals of corruption and mismanagement has prevented the economy from growing and fulfilling its potential. GDP growth fell to 0.7% in 2016. 2017 was a year with low growth as the political unrest and the cabinet reshuffle, including the dismissal of the Minister of Finance, deterred investors and the country’s credit rating was downgraded. However, the improvement of the world economy along with the stabilization of the commodity prices will sustain growth in the next few years. Since the resignation of Jacob Zuma and the appointment of the new Head of the ANC and President of South Africa, Cyril Ramaphosa, South Africa has a better outlook than previously expected. We can already see positive changes as the Rand has gained strength against the USD by almost 18% over the last 90 days (xe.com). In addition, unemployment fell by 1% during the end of last year and is expected to further decrease with the new President in place. Foreign investors as well as the people of South Africa are excited and full of hope with Cyril Ramaphosa, who used to be a successful business man. Cape Town remains South Africa’s most popular destination when it comes to domestic and international visitors. The city benefits from a good mix of corporate and leisure travelers that leads to relatively stable demand throughout the year. 2016 benefited from a strong leisure demand combined with a limited increase in supply, leading to an increase in occupancy. Although the Mother City saw a significant increase in supply in 2017, the growth in international tourists pushed occupancies up. 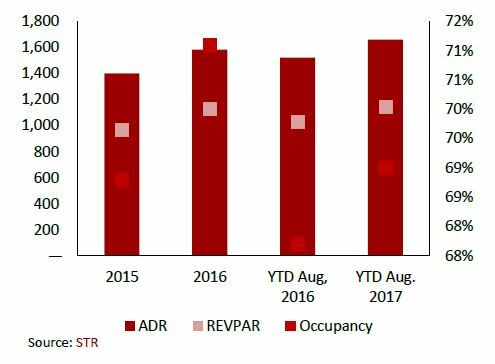 An increase in demand combined with the opening of several upscale properties allowed Cape Town hotels to grow their ADR over the past three years. The Cape Town hotel market still achieves higher average rate than the country’s average or Johannesburg. However, it is important to note that the fluctuations in the exchange rate of the South African Rand has a significant impact on ADR. The future of SA’s tourism is looking promising though. The total number of international tourists arriving and staying in South Africa is steadily increasing at a compound rate of 3.9% over the last six years. While the number of domestic tourists remained quite even, the international tourist arrivals have shown a steady annual increase. This consistent growth is on the back of leisure travel to the country. 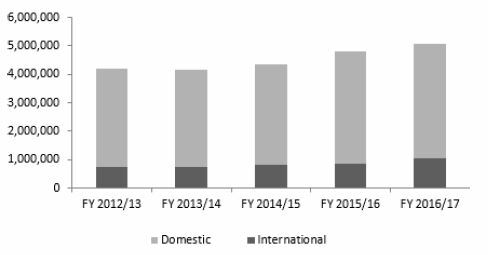 Leisure and holiday accounts for over 70% of international arrivals followed by business and conferences at around 20% of arrivals. With an unstable rand, indeed, while a weak currency may make South Africa a very cheap destination for international tourists, domestic travelers, mainly corporate, may struggle and reduce their travel expenses. Going forward, at least six new hotels are expected to enter the market from 2017 to 2020. The recently opened Radisson Blu Hotel and Residences partially opened in February 2017 and was fully operational in May of the same year. The SunSquare Cape Town City Bowl opened in September 2017 along with the StayEasy, adding 504 keys to the city centre supply. Marriott has announced a 2-billion Rand investment in Cape Town adding over 500 rooms to the city’s accommodation inventory. These include the 189-room AC Hotel Cape Town Waterfront and the 200-room Cape Town Marriott Hotel Foreshore. Additionnally, one of the first Radisson Red hotels opened its door in the new Silo area at the Waterfront in September 2017. It is likely to be strongly competitive with the proposed hotel owing to its lifetyle and modern concept although it is positioned on a different price point. 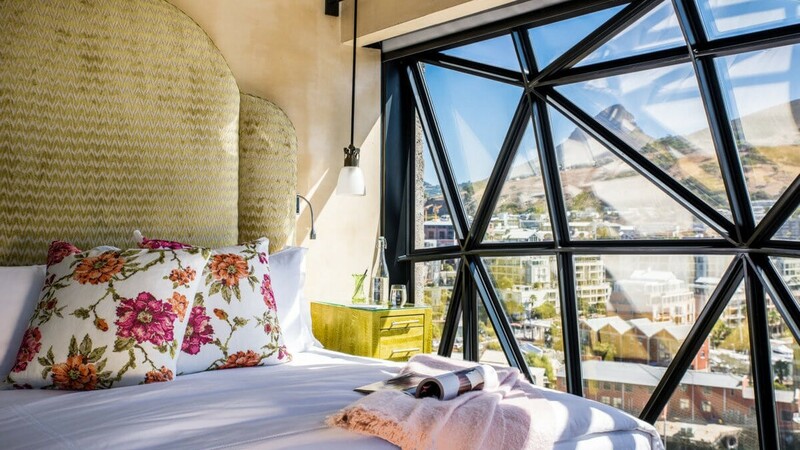 The new Silo Hotel, opened in 2017 by the Royal Portfolio, is the most luxurious hotel in Cape Town and added a real luxury product to the market. Towards the other end of the market Onomo purchased Inn on the Square and has re-branded the property. 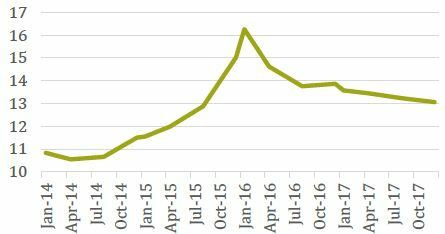 Cape Town’s hotel market is rather illiquid due to the lack of transactions in recent years. However, as the city develops, and the political and economic situation improves, investors are likely to show interest in the Mother City. Thanks to the improving economic situation and the ease of security concerns, tourism is likely to enjoy continued high demand in the next few years. However, the Mother City benefits from a strong reputation worldwide and its many touristic attractions will continue to attract millions of tourists every year. Hotels have a huge potential growth coming in the next few years. The increasing interest from major international brands and their development pipeline Cape Town make us believe that the growing demand will support the increase in supply in the next few years.